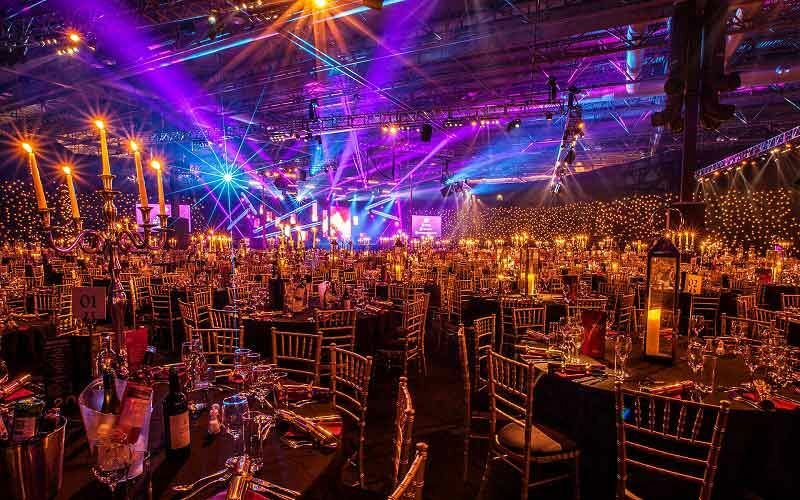 This festive season, discover the exhilarating sounds and rituals of the amazing Tanzanian artists at Manchester's flagship Christmas party venue, which will be transformed into a magical and enticing land that's filled with vibrant colours and an incredible energy for one amazing exclusive Christmas party night! 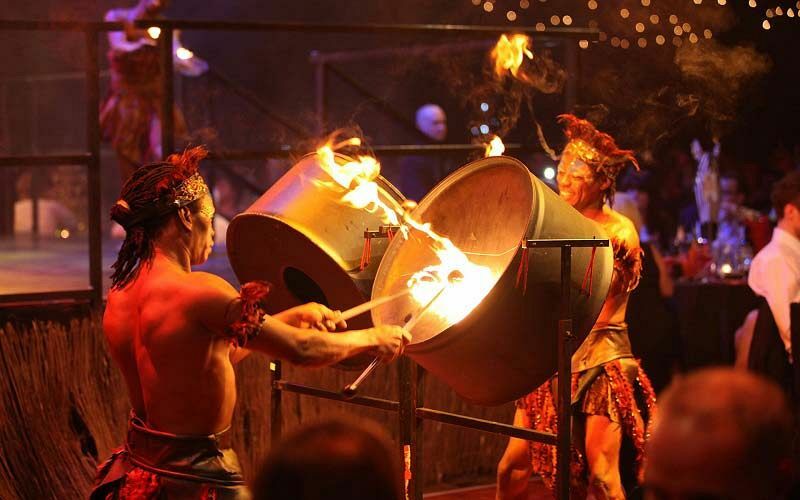 On arrival, guests will will receive a warm welcome with traditional African drumming and dance against the backdrop of the beautiful rainforest, where waterfalls and giant sweeping trees will create a truly unforgettable ambience. As you move through the venue, handcrafted canapes and delicious drinks are served as you begin to explore and decide where to venture first. Treat yourselves to a crisp glass of wine or a cold beer at the grass roofed mud hut bar, or try an ice-cold cocktail from the amazing Champagne and Cocktail Bar which offer superb concoctions that are infused with a touch of African magic! 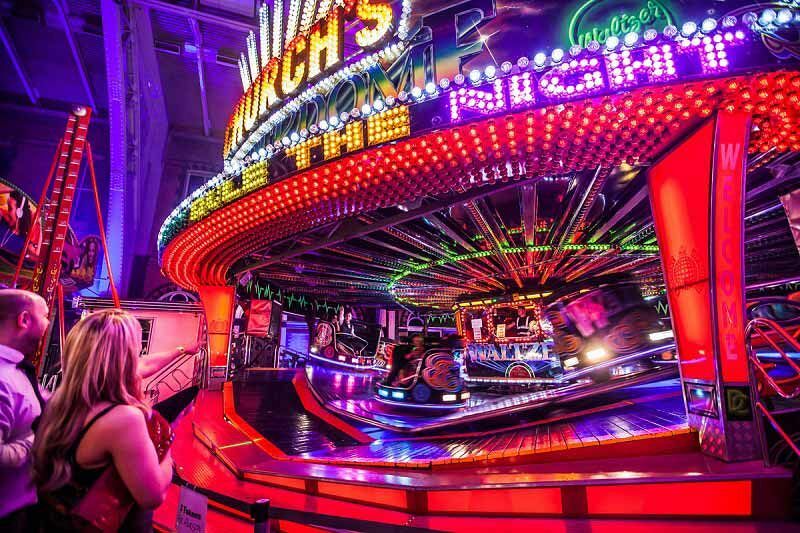 Guests will be in awe as they take in the sights and the pulsating atmosphere as the talented performers in vibrant masks entertain with impromptu bursts of dance which will dramatically light up the entire space. It won’t be long until guests are invited to experience a mouth-watering feast, but first, make your way through the giant gates of the African Kingdom, where you’ll emerge in all the warmth of the African grasslands. Watch as the glistening beams of light dance their way across the tables as you take your seats for dinner. 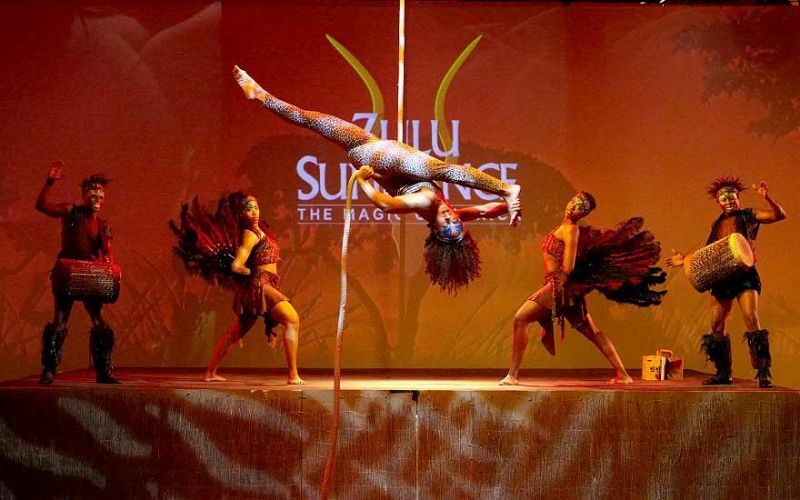 Experience world class entertainment from the outstanding performers which will include dance acts, gravity defying African pole, contortion and high-level aerial cirque routines. he bars will be serving a delicious range of drinks throughout the night, whilst the chocolate fountain beckons and will tempt guests with a sweet treat. Alternatively, relax and unwind in the chill out area and enjoy a freshly brewed coffee with friends. The night concludes with a delicious Survivor’s Breakfast that’s served against the vista of twinkling lights and inspiring scenery! Give your team an incredible celebration this year with an unforgettable trip to discover all the magic of Africa with this dazzling Zulu Sundance themed exclusive Christmas party! Dishes marked with a green dot are vegetarian. If you or a guest has a food allergy or intolerance please contact our office when placing your menu order. Allergen data is held on each dish and is available from our office on request.